Thanks for dropping in at Farrish of Fairfax. As the leading distributor of certified original equipment manufacturer (OEM) materials for Chrysler, Dodge, Jeep, and Ram in Fairfax, we possess all of the elements required to ensure your repair finishes in an easy and streamlined fashion. Doing business with our crew of trusted Chrysler, Dodge, Jeep, and Ram components gurus means also being able to take advantage of an abundance of insights and experience you cannot come across anywhere else. Regardless of whether you could use a little guidance on the right part for the job or some extra perspective in regard to how to get things into position, you can rest easy in the simple fact that our dedicated Chrysler, Dodge, Jeep, and Ram experts will be ready and willing to help you along your way. Ready to hear more about why acquiring OEM products from Farrish of Fairfax is never a bad idea? Then join us as we take a closer look into the advantages of connecting your parts business with the expertise offered up by the customer-service-oriented group of specialists available in the Farrish of Fairfax parts division. 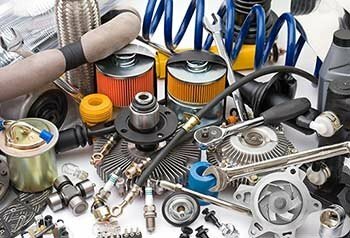 Prior to jumping headfirst into the particulars of why OEM components from Farrish of Fairfax are always the right parts to make use of for your car repair needs, it makes plenty of sense to first go over what exactly "OEM" stands for. As the acronym implies, only components that come from the original manufacturer, in this case Chrysler, Dodge, Jeep, and Ram, are worthy of earning this status. Despite the fact that other aftermarket parts providers might attempt to pawn off their alternatives as sharing the same quality and devotion to excellence as a legitimate OEM part, the fact of the matter is the OEM part designation is a distinction set aside specifically for parts that adhere to Chrysler, Dodge, Jeep, and Ram's rigid functionality and usefulness guidelines. What Makes OEM Parts Worth It? Putting a Formidable Emphasis on Quality — Chrysler, Dodge, Jeep, and Ram OEM components must undertake demanding scrutiny and appraisal before finding their way to you, so you should never have any reservations relating to the lasting quality and toughness of these replacement offerings. Proven to Fit Your Specific Repair Needs — While third-party producers might propose to fully grasp the inner functions of the Chrysler, Dodge, Jeep, and Ram process, there is really no way around the fact that only qualified OEM parts from Chrysler, Dodge, Jeep, and Ram are constructed purely with the specs of your car in mind. The Only Parts in Town Produced by Chrysler, Dodge, Jeep, and Ram's Team of Engineers — The very same group of men and women that manufactured the blueprint for your current Chrysler, Dodge, Jeep, or Ram car also laid out the foundation behind the official OEM parts available here at Farrish of Fairfax, so it makes plenty of sense to want to invest in replacement parts that originate from this association of qualified Chrysler, Dodge, Jeep, and Ram parts development specialists. Protected by a Comprehensive Product Warranty — Chrysler, Dodge, Jeep, and Ram realize that peace of mind goes a long way, so you can rest easy knowing OEM parts from these automakers are always guaranteed by a firm warranty that safeguards you and your vehicle. To put things clearly, buying OEM parts directly from Farrish of Fairfax means deciding to invest in your car's future — and making sure the work gets done right on the first try. After reviewing all of the things that make OEM parts stand aside from their third-party competition, it is time address your last concern: Does Farrish of Fairfax have what I will need to complete my repair? Without a doubt, the answer to this query is a big yes! While this is merely a tiny sampling of what we have available, there is no questioning Farrish of Fairfax's supply of Chrysler, Dodge, Jeep, and Ram OEM parts is second to none. Now that you have reached this point, you are clearly ready to start working toward a successful automobile restoration and pick up the required OEM part for your impending task. To get the ball moving on this process, you have a few paths you can follow. To start, you can plan a visit to the Farrish of Fairfax parts department and have one of our dependable Chrysler, Dodge, Jeep, and Ram advisors help you go through the various aspects of this significant acquisition. If we have the item you require on-site, you can take it home with you on the same day as your trip to Farrish of Fairfax; for anything else you need, you can rely on us to get a parts request in with Chrysler, Dodge, Jeep, or Ram and have the part shipped to you in the most convenient fashion available. For those customers who would prefer to go through online channels, go ahead and fill out the OEM parts order form found on this page. After you do this, a member of the dependable Chrysler, Dodge, Jeep, and Ram OEM parts gurus will instantly get to work examining your inquiry and connect with you to confirm you received the part you are looking for in a hurry. Thanks again for dropping in on the Farrish of Fairfax parts page. We are excited to help you browse through the best selection of low-cost Chrysler, Dodge, Jeep, and Ram OEM parts in Fairfax the next time you find yourself facing an automotive repair project.